The Performance Indicator represents the change in the price as a percentage from the start of the price data series. It is a simple metric to determine how well the price has performed over time. For example if displaying a 10 year daily interval chart, the performance is based on the current price relative to the price 10 years ago. If the Performance indicator reaches for example 100, it means that the price has double by 100% since the start of the data series. If the Performance is above zero, then it is considered bullish and if below zero then the price action is considered bearish. 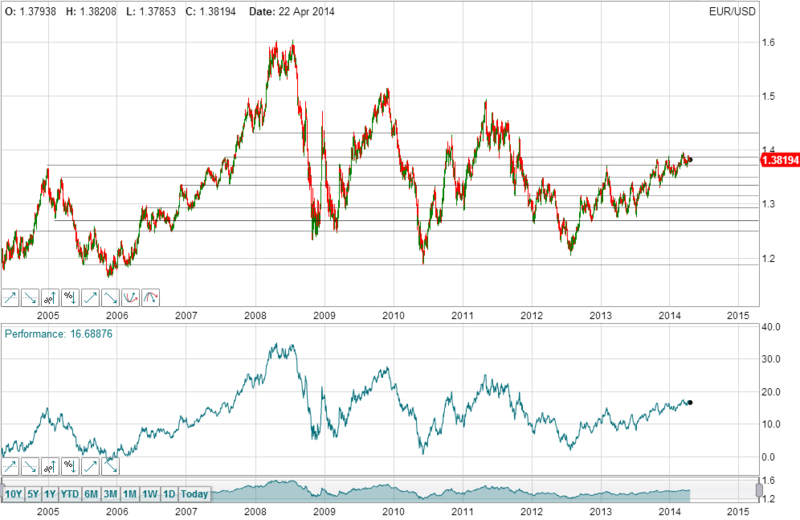 The following chart shows the Performance of the Euro relative to the US Dollar over a 10 year period. 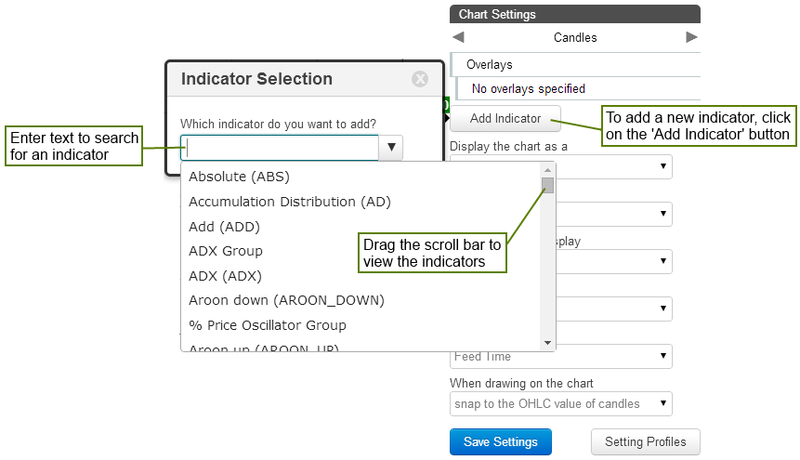 After adding the Performance indicator, within the chart settings, click on it to set the parameters and change colours.